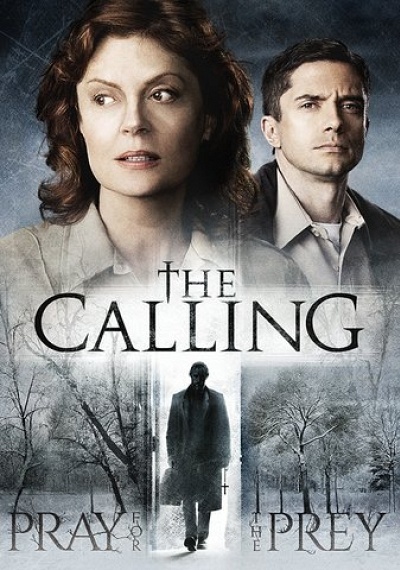 The Calling :: Movie Information :: RabbitTV GO! Detective Inspector Hazel Micallef (Susan Sarandon) is used to leading a quiet life in a small town, with her mother (Ellen Burstyn), her painkillers, and an occasional drink. But when she stops on a routine call to check on a neighbor, she stumbles across a gruesome murder that shatters her peaceful existence. With the help of Detective Ray Greene (Gil Bellows) and a new transfer cop (Topher Grace), she unearths a series of killings across the country with similar, grisly crime scenes. When a local priest (Donald Sutherland) suggests there may be a link to an ancient ritual, Hazel finds herself on the trail of a religious serial killer following a deadly, higher calling. Based on the novel by Inger Ash Wolfe, it's a dark, twisted journey to the shadowy landscape between faith and fear.